When I first mentioned this hike to a few friends, they were very concerned for my hair, or more specifically, how I’d handle not bring able to do my hair. In fact, one of my friends responded to my Facebook request for blog ideas by asking me how my hair was doing (not well, thanks for asking.) For background, in my off trail life, I like to look presentable and pulled together; which generally means that I do my (very unruly) hair everyday and put a little more thought into what I’m wearing to the grocery store then the average person. I’ve now been wearing the same dirty shirt since April (with the exception of the Sierras, I had a bit of a different clothing system for that month) and every 3-4 days I make the effort to take my hair out of its ponytail, comb it, then tie it back up. None of this bothers me. Ok, sometimes if I haven’t washed my clothes in a while, the texture starts to get to me, but not as much as you’d think. Hiking has a way of reducing life to the lowest common denominator. You just walk, eat and sleep; everything else is irrelevant. It makes it easy to forget that there is a whole world that exists outside of our little bubble. 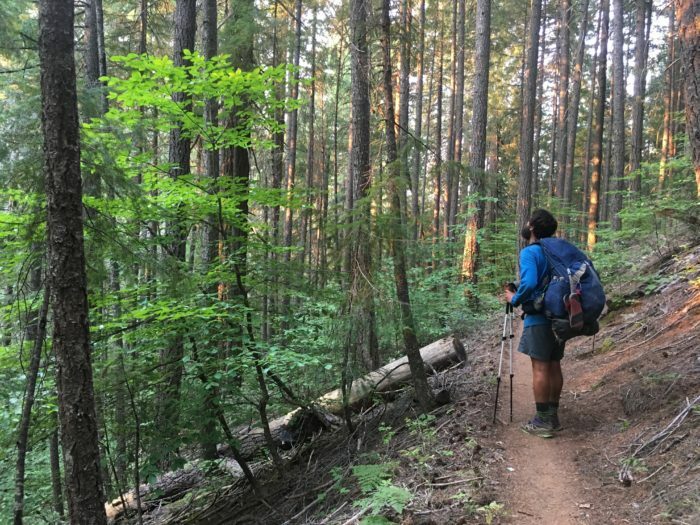 Occasionally, Trail Angels or people we meet in town will try to update us on current events, and we practically cover our ears and make a run for it. Is this all a bit of escapism? Perhaps, but we will allow ourselves this luxury while we can. The way we look at food has been slowly changing throughout the hike, with our attitude changing from “something to be enjoyed” to “something we need to eat to keep going.” Don’t get me wrong, taste still matters, and we both have very strong (and sometimes differing) opinions about which bars are better then others and which Knorr side we should purchase, but the primary purpose of food is that it enables us to keep hiking. When we are in the grocery store, or shopping online (we use a site called Zero Day Resupply for some of our resupplies where shops are limited) one of the first things we look for is the calorie/weight ratio – the higher the better. 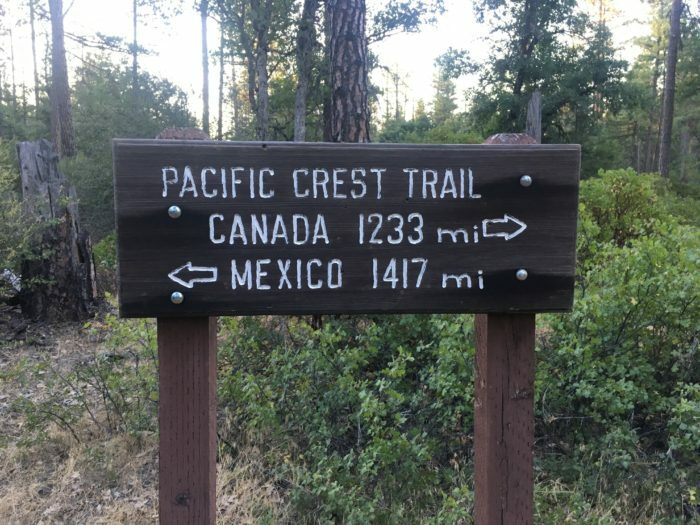 During the pre-trip research I read numerous blogs of past PCT hikers and I recall reading a proportionally large number of blogs from hikers who identified as having suffered from various forms of eating disorders, and they discussed that thru-hiking had aided in their recovery; at the time my reaction was a bit skeptical, but I get it now. 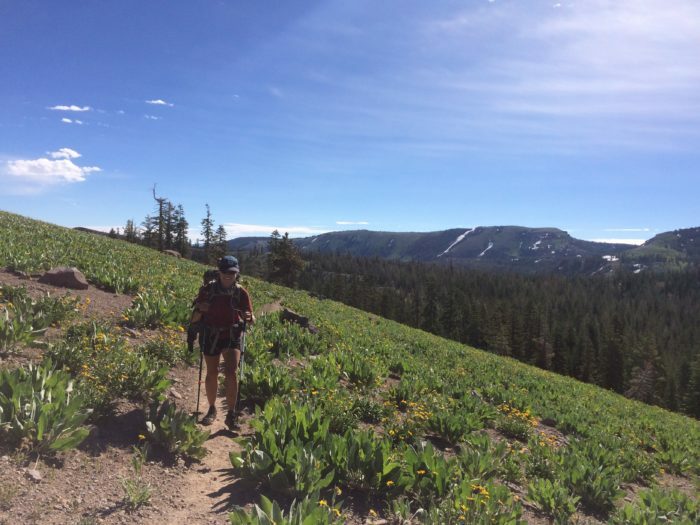 Approximately 600 miles ago, we arrived in Mammoth Lakes after a particularly gruelling section and we decided that we deserved a nice meal and evening out. We showered, washed our clothes, and headed out to the local brewery with our hiking companions in tow. We walked in, saw the crowds of people, and promptly broke into a sweat and left.We then went to a quieter restaurant down the street and sat down at a table. Within two minutes we decided that there were also far too many people here, left, and had pizza delivered to the condo we had rented. I’m afraid this was not a “one off” incident, we’ve been having similar experiences during many of our encounters with civilization since. You and your husband should have had a couple of drinks before entering the restaurants. Your tolerance of the unbridled public would have been much higher. Don’t use my advice on a daily basis or you might turn into a homeless drunk.